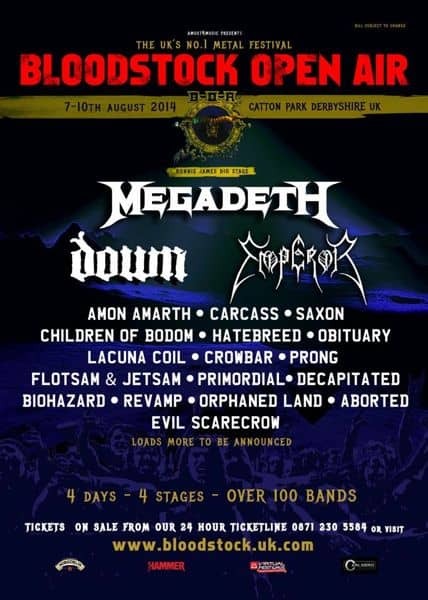 Bloodstock Festival adds more bands to the 2014 line-up! 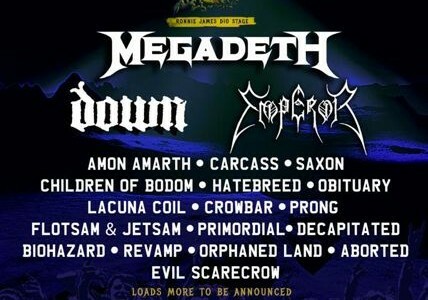 Israeli progressive metallers, Bloodstock festiva also join the bill. The band, renowned for bringing different religious groups together were recently nominated for a Nobel Peace Prize. Frontman Kobi Farhi comments: “I could never imagine in my wildest imagination that an Israeli band would be followed by thousands of Muslims from around the world”. Their album ‘All Is One’ is available now. Death metal beasts Aborted, who have just entered the studio to record their new album, ‘The Necrotic Manifesto’, are also joining the fun. The band plan to head over to tour North America with Kataklysm, before returning to Europe for the summer festivals. Festival season is drawing ever closer day after day, and there are still many more bands to be announced before it arrives!